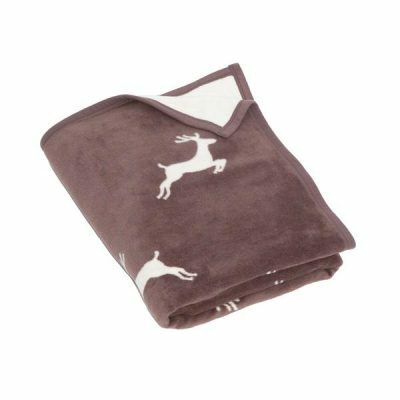 Our Northern Comfort Blanket and Throw is jacquard woven in bronze golds and dusty reds. 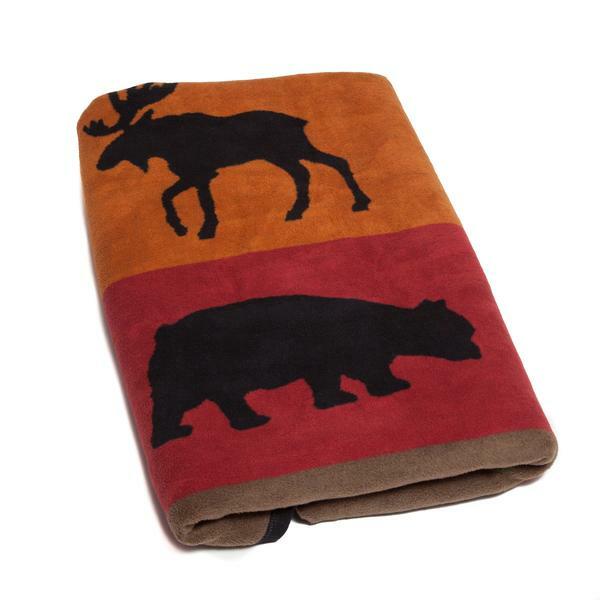 Our Northern Comfort Blanket and Throw is jacquard woven in bronze golds and dusty reds. 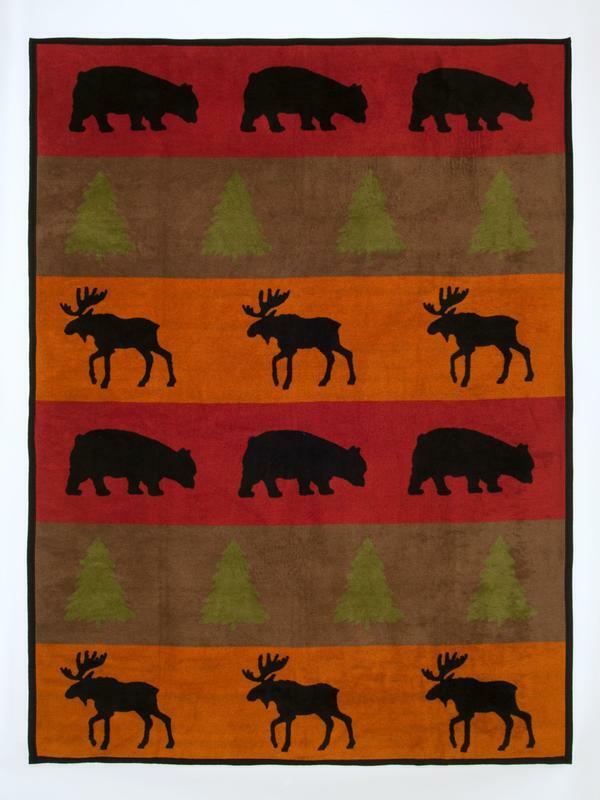 It’s the perfect accent to any rustic den or cabin. 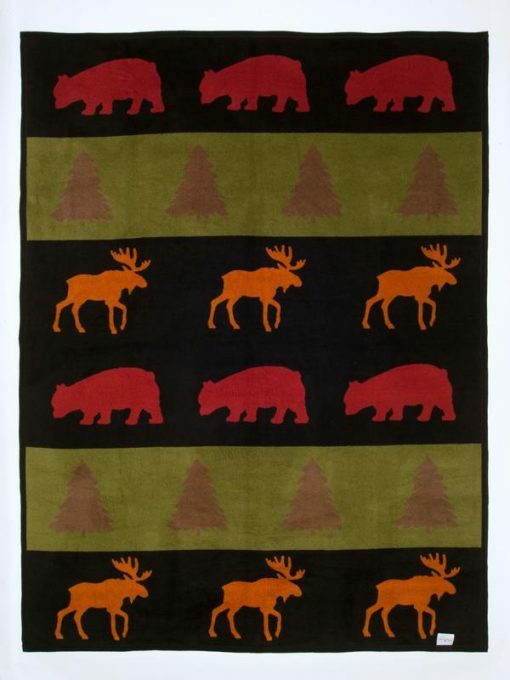 Featuring light forest greens and mountain animals, like the black bear and the North American moose, our oversized blanket will add warmth to a chilly day on the slopes or comfort to a quiet and cozy evening. 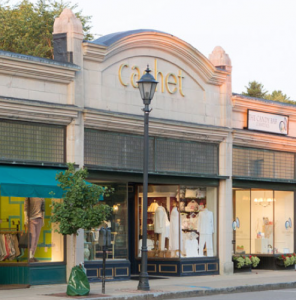 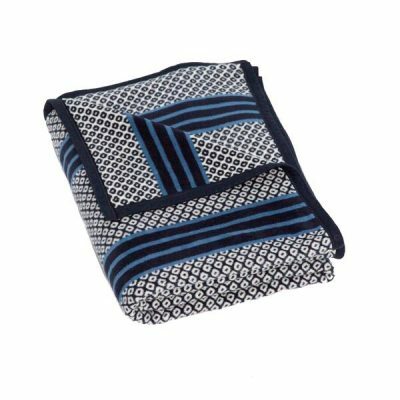 ChappyWrap blankets and throws are known for their beautiful designs, warmth, and quality. 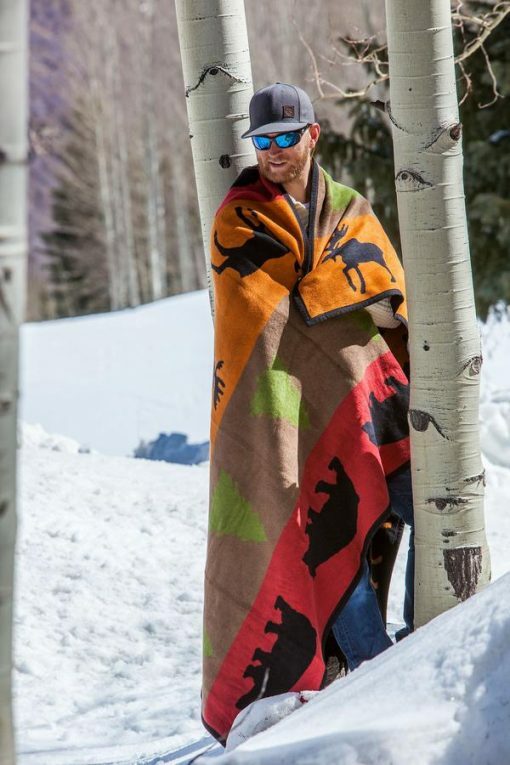 Wherever you choose to spend your time wrapped in your ChappyWrap Northern Comfort Blanket, it’s time well spent. Our black bear and moose blanket is completely reversible due to the jacquard weaving process, making the quality and craftsmanship in each of our oversized blankets unbeatable. 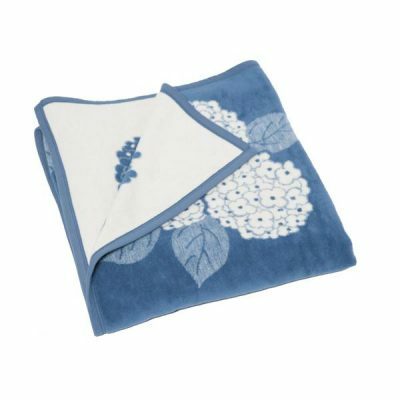 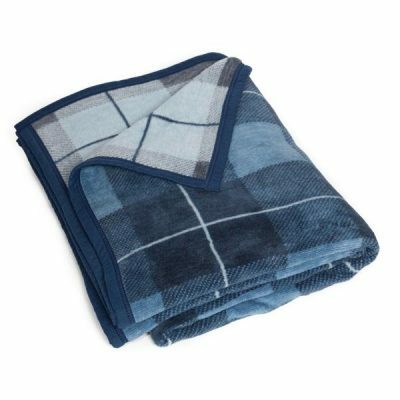 ChappyWrap’s blankets offer a plush finish and durable hold that will never pill or fuzz over time and is machine washable.